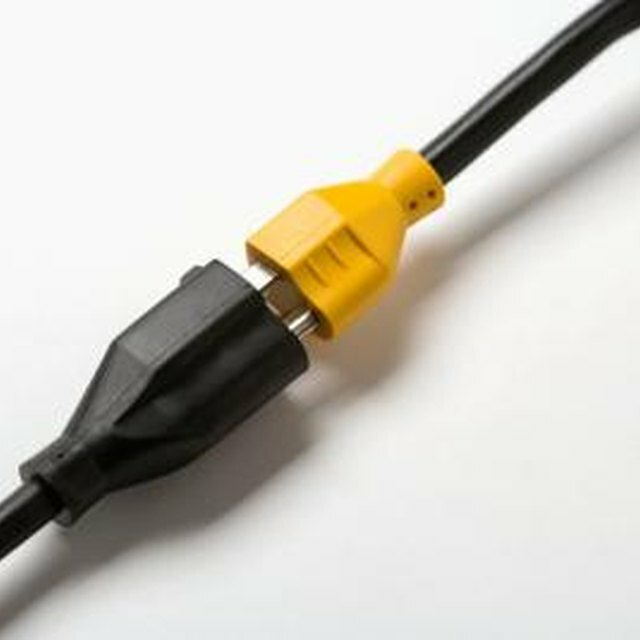 The plug on the end of an extension cord can become damaged and may need to be replaced. The prongs can become bent or broken over time. Unless the cord is damaged there is no reason to throw the entire cord away. Replacing the plug can be a less expensive alternative. Plugs can be bought a hardware or home improvement store and there are replacements for two-prong and three-prong plugs, depending on whether your extension cord has a ground wire. The plug you buy needs to be like the one you are replacing. Extension cord plug with a ground wire. Cut through the cord just below the plug using wire cutters. Starting at the cut end, slice down and remove about an inch of the cord's jacket, using wire cutters or a utility knife. You will see two or three wires, depending on whether your extension cord has a ground wire. Use wire strippers to strip and expose the ends of these wires, removing about a 1/2 inch of the jackets. Open your replacement plug. You will see two or three terminal screws, depending on the ground wire. Loosen these screws but do not remove them. 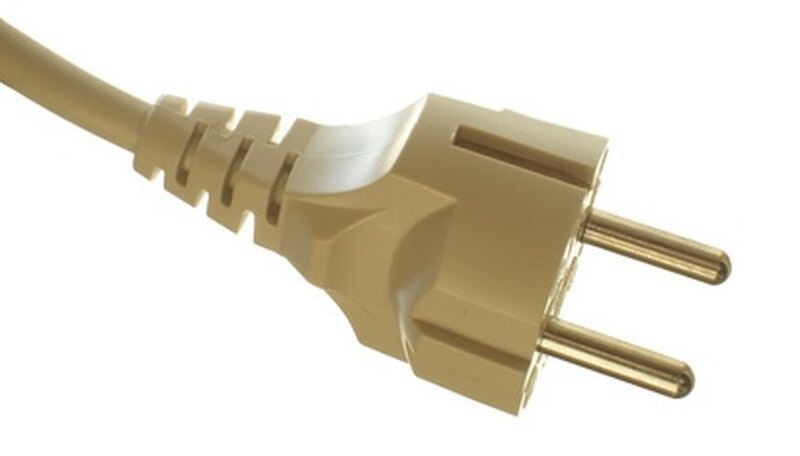 If you have the plug in which the outer cover slides down and off the plug, place the cable through the cover before connecting the cable to the screws. Take the black wire and bend the exposed end around the brass screw. Tighten the screw. Use needle-nose pliers to bend the wire clockwise around the screw so when you tighten the screw the wire moves with the screw helping to secure it. Take the white wire and wrap the exposed end around the silver screw. Tighten the screw. Wrap the exposed end of the green wire around the green screw and tighten the screw, if your cord has a ground wire. All wires must be secure and completely underneath the terminal screws. Close and secure the cover on your replacement plug. Test your extension cord. Some replacement plugs do not require that you strip the individual wires. Always read the directions on your plug before stripping the cable. You can cut off the plug and take it with you to the store. Ensure that nothing is plugged into your cord before you attempt to fix it. Heavy duty extension cords may have an amp rating. The replacement plug needs to have the same or a lower amp rating. Kristina Marie has served in the US Army and was a criminal justice major at Central Texas College and the University of Maryland. Marie, who is an avid do-it-yourselfer, currently works as an electrical contractor. She started writing for eHow in 2009 and has had several articles published. How Do I Change a Plug on an A/C?